First off, I apologize for my long absence (for anyone who cares 🙂 ). I took a week-long trip to D.C. to visit a high school buddy, and then I’ve been busy with RL stuff since I’ve been back. We played a lot of awesome games on that trip (Edge of the Empire, Cthulu Wars, XCOM board game, Fun Employed, Artic Scavengers, Shadowrun Crossfire, Eldritch Horror, Netrunner, Cthulu Flux, and a bunch of others I can’t remember). And Alamo Drafthouse Cinema is the bomb. We need one of those here in Reno. 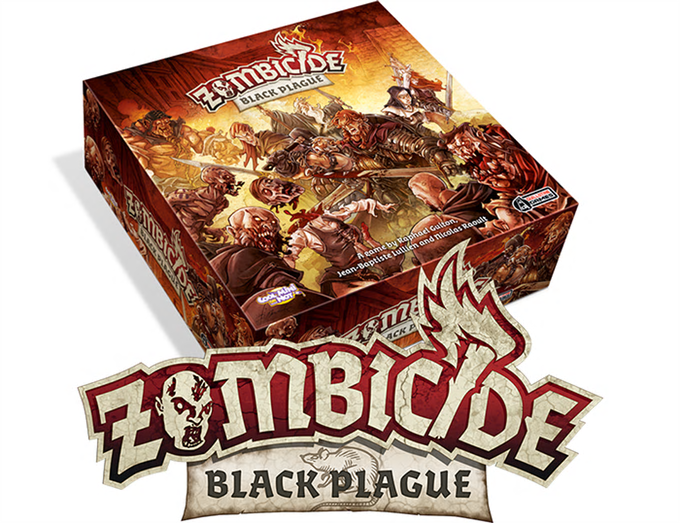 Just so I don’t go the entire month of June without a post, I thought I’d bring some attention to a new Zombicide game set in a medieval fantasy world: Zombicide Black Plague. If you’re into collecting minis, you can get about 180-ish (so far) minis for $150 (plus shipping). A dollar a mini ain’t bad, though granted many of them are duplicates. This got me thinking that it might be interesting to do a gritty undead apocalypse campaign set in a fantasy world. Not just zombies, but ghouls, wights, spectres, vampires and all the other undead nasties as well. Clerics would really shine in such a setting, so you might have to tone down Turn Undead a bit (maybe make it a spell instead of an at-will ability). When the undead hordes rule the world, it might just be the good folk who move into dungeons! This entry was posted on June 21, 2015 at 10:39 am and is filed under Miscellaneous. You can follow any responses to this entry through the RSS 2.0 feed. You can leave a response, or trackback from your own site.